What do you do when the very breakthrough strategy that once made your business uniquely powerful (Staples, Home Depot, Starbucks) now threatens to turn you into a commodity rivals find easy to copy? Whenever I get an assignment from a client shifting from strategy ‘maintenance’ to ‘creativity’ mode I employ Multi-Dimensional Creativity to lift an industry or brand past previous benchmarks. MULTI-DIMENSIONAL-CREATIVITY® - To redefine an industry’s original breakthrough strategy, define new underpinnings and to get tongues wagging again (or to invigorate a brand, create a new product or envision a new category) we first sit down and list out over 500 product dimensions concerning that product, brand or industry that in every way shape and form impact and influence consumer perception and purchase behavior. Under each dimension; sensory, form, function, usage, image, attitude, price, packaging, delivery system, segmentations, transitions, escape, reward, heritage, trust, tradition, affluence and hundreds of other dimensions only we know of, Partners bullet point another 500 short phrases per dimension that in every way shape and form may potentially positively impact and influence consumer perception and purchase behavior in that industry, category or segment. When done we will have amassed about 250,000 phrases - many times the number of ideas an advertising agency or company brings to the table in their brand's lifetime. From this list we hand-select 500 to 1,000 phrases that we put in front of consumers so that consumers can select the phrases that best motivate them to try a product once [again] and if they try it and like it to buy it again. We employ this Consumer-Creativity® via our comprehensive Creative Stimulus Packages as the foundation for the highly-differentiating and salable new breakthrough business strategy concepts that result. Has your brand become a heavily price driven commodity? Do you manage business strategies that compete in heavily price driven categories? Dot coms Expedia, Travelocity, Priceline, Orbitz and Hotwire are great examples of heavily price driven commodity brands. And as Procter & Gamble discovered with EDLP, once your consumer sets their sights on price your equity sinks so low you have to climb up a ladder to get to the bottom – enabling retailers (Costco) to finally get a leg up on P&G and call the shots on core brands like Tide. In this environment, Callé & Company has demonstrated a consistent track record of reversing the effects of mature business strategy lifecycles – of turning mature earnings companies back into rapid growth businesses. We ask consumers no questions so they can tell us no lies. We prefer our proactive Creative Stimulus Packages to reactive market research to create new knowledge - once again leapfrogging existing frames of reference, and competitors, with strategies rivals will find difficult to copy. P&G’s Paper Division employed our process, shifting Pamper’s strategic focus from ‘fit’ and ‘dryness’ to ‘development’. Repositioned as Pampers Phases Developmental Diapers the brand arrested category migration to rival Kimberly-Clark’s Pull-Ups, providing a much broader base from which to develop the paper business and net an incremental $1 billion in disposables sales each year. K-C never caught up. Callé & Company does not cut and paste strategies from one industry or company to another. I have no canned answers as do the experienced advertising agencies on Madison Avenue. If you would like to determine optimum future business strategies, let’s meet. The world's most underplayed one hit wonder - No Time To Loose. Potential Ad uses. 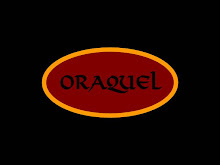 Analgesic advertising, 30 day promotion music. Sense of urgency. Like him or not, it's still a great poster. Like they hadn't been listening? As reported in Advertising Age Magazine (http://www.adage.com/) The Automaker is to Recruit an Online Consumer Advisory Panel. It's not that the online sessions won't be that informative, or that Chrysler won't be doing anything with the information. It's just that all the other auto manufacturers collect exactly the same bits of infomation - promoting a parity situation in which Chrysler will be unable to budge it's distant 3rd position in the market. Typically, this type of consumer input substantively fails to move the sales or market share needle - let alone consumer interest and involvement. To get ahead, you have to learn things no one else knows. To CREATE THAT KNOWLEDGE you must follow the following recipe to stimulate consumer minds to say things they'd never otherwise think to say. To invigorate a brand and find out what people want we first sit down and list out over 500 dimensions concerning that product that in every way shape or form impact and influence consumer perception and purchase behavior regarding that brand or product. (Otherwise they just talk about cup holders and places to put their Garmin or Tom Tom.) Once done, the real work begins. Under each dimension; sensory, form, function, usage, image, attitude, price, packaging, delivery system, state changes, reward, escape, heritage, trust, tradition, quality, awards, rewards and many other dimensions only we know of, we bullet point another 500 short phrases per dimension that in every way shape and form impact and influence consumer perception and purchase behavior. When done we will have amassed about 250,000 phrases - many times the number of ideas an advertising agency or company brings to the table in the lifetime of a brand. From this list we hand-select 500 to 1,000 phrases that we put in front of consumers so that consumers can select the phrases they like best and that would compel them to try a product once, and if they tried it and liked it to buy it again. We employ this Consumer-Creativity® as the foundation for the highly-differentiating and salable concepts that result for companies from General Mills to General Motors, Procter & Gamble to Pizza Hut. Innosight's President Scott Anthony made an interesting post on Harvard Business Online the other day about Innovation gone overboard - questioning to great extent whether replacing a car key with a wireless pushbutton constitutes "innovation." I couldn't agree more that it does not. But then Scott asks the question, "How do companies get to this point? How do slim and marginal improvements in product performance become dubbed innovation?" I have long said that innovation is an over used term. And managers eager for recognition apply the term liberally to any step forward. But what are the underpinnings of their thinking? Well here it is. Have you ever watched a group of 11 and 12 year old boys try to earn their fishing merit badge in the Boy Scouts? They remain interested in the merit badge counselor's instruction for about two minutes, then the boys drift off into their own worlds. Called back to order, the counselor asks one of the scouts to "watch" him tie the knot again and the boy, unable to tie the knot, or innovate, looks away. "No" says the couselor, "watch." And the boy glances as the counselor specifically shows him how to tie the not. Again the boy looks away before the task is completed, and struggles ten minutes longer than all the other boys before completing the knot successfully. If it is this difficult to learn how to tie a knot with the instructor present, showing you how to do it for free, imagine how difficult it must be for an adult to innovate without additional supervision. Like the young Boy Scout, it is hard to pay attention and simpler just to take the easy way out. Trial and error. Which is why the pace of innovation is so slow and why the term innovation gets tattooed on every product upgrade. Only a few years ago Procter & Gamble would label it's products "new & improved," an ultra this or concentrated that. New & Improved has simply been replaced by the word innovation - today's marketing buzzword. MADISON AVENUE Blog Makes it into AD AGE Pages! Yippee! MADISON AVENUE Blog gets published in Advertising Age Magazine. What a thrill! Responding to editor Jonah Bloom's request for his Power 150 Crystal Ball 2.o article on what's hot and what's not in Digital Marketing, and what technology marketers should be looking out for in 2008. Our recommendations got mentioned - along with a link to our site. I haven't checked the print edition yet but Google analytics picked up a tremendous spike in readership. Thank you Jonah Bloom and Ad Age! Thank you readers! Does Your Brand Suffer From INCOMPLETE COMPETITIVE LANDSCAPE PICTURES? "Demand for food products is limited by the 1 percent annual growth of the US population. Profitability of individual companies depends on having the right product mix and on efficient operations...."
And wondered where in the hell the ability to effectively differentiate one store chain from another comes in to play. Given that groceries, as a whole, are heavily price driven commodities, the stores do not really do a good job of differentiating themselves save for store brand name, geography and weekly circular. There's none of that 'positioning work' going on where a brand like Pampers advances beyond cost-of-entry 'fit' and 'dryness' (have to fit the baby and keep it dry) to infant 'development' as a means to raise the perceptual positioning and sales bar. Just to keep this post simple: I brush my teeth in the shower. Do you brush your teeth in the shower? I wonder how many people brush their teeth in the shower? Does Procter & Gamble, Unilever or Colgate wonder if people brush their teeth in the shower? When will we know how many people brush their teeth in the shower? 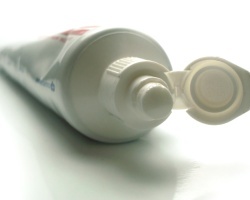 When will they distribute a non-slip finish on toothpaste tubes? If you google "non slip toothpaste tubes" you get zero results. The idea must exist in the new product twilight zone. Answers from the beyond. I was going to call this post "Differentiate Or Die" then remembered that that's not true. If you are a major brand in the real world, and you are unable to differentiate yourself, you become a heavily price driven commodity brand, such as Folgers, in a heavily price driven commodity category such as 'ground roast coffee (GRC). Other examples of heavily price driven commodity brands and categories include United, American or any airline, Duncan Hines in baking mixes, Crisco in edible oils. And now I leave room for a few of you readers to add a few of your own. It takes a lot of time to become a heavily price driven brand in a heavily price driven category - so what is it these advertising agencies have been doing with your advertising budgets all these years if it hasn't been differentiating "YOU" in the marketplace? I tried to post the following on the Marketing M.O. Blog that got me started thinking about this via Seth Godin's the "the" factor, but was unable to. So here's the comment I tried to post there. How would you express the "the" factor if you were a fried chicken chain attempting your first US expansion? How would you find the "the" factor in a recent Harvard Business case study of a new VP Marketing positioning "HUNSK MOTORCYCLES" as "authentic". Is this brand not converging on the same position owned by Harley Davidson, Indian and resurgent Victory motorcycles (also claiming authenticity) - just saying the same thing their own way. I would say you need to differentiate or die - but that's not what happens in the real world. When you are unable to differentiate yourself - which is what has happened to brands such as United, Oldsmobile, Dodge, Folgers, Crisco, Duncan Hines and so many others - you just become a heavily price driven commodity brand in a heavily price driven commodity category. Why do the US Presidential Candidates avoid any discussion of hemorraging gas prices? Why are we paying $4 per gallon so the Sultan of Dubai can build an island and the world's tallest buildings just off his gulf's coast? You think he's paying for it? No! We are! Why are Americans directed and misdirected to purchase a Toyota Prius when in reality there is no gas shortage, just behind the scenes manipulations to facilitate middle east finances at the expense of American pawn citizens? 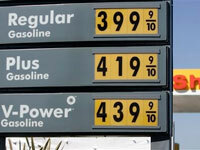 You know that as soon as George Bush leaves office the price of gas will drop back to $2 a gallon. Or are Hillary and Obama making back room deals with the middle east too? Is this the reason The White House offers no "Ask The White House" or "White House Interactive" links to gas issues on their email links page? Certainly they know we as citizens are edgy about gas prices. Has The White House told the candidates to stay away from the issue? What middle east construction project deadlines coincide with the departure of George Bush from office? Should we foment a revolution and start dumping tea into Boston Harbor at our local gas stations? Should we have a National 'Buy No Gas Today' Boycott? Why not? What would happen in the middle east? What would happen to US gas companies if one day a week for the next 12 weeks no one in America bought gas or paid a gas or oil bill? The gas companies are each profiting arount $40 billion per quarter right now. You know their Chairmen, Board Directors and Executive Managements know they have the world by the balls. How many of them are anticipating artificially driving the cost of a barrel of crude to $300 a barrel to further facilitate middle east expansion plans while they profit $100 billion a quarter per company. Hell, Why stop there? Is a trillion dollars a quarter out of reach for an artificially gas-starved world? Hey, it pays to think big. Better wake up America! A Prius is no where near the answer. We need a gas revolution. We don't need to talk about peace in the middle east. The issue is deals in the middle east at the expense of the American consumer. Danger Will Robinson, is just beneath the surface. WHAT KIND OF STRATEGY AND ADVERTISING DO YOU GET WHEN THE MINDS OF THE FEW TRY TO COMMUNICATE WITH THE MINDS OF THE MANY? I was feeling kind of bored by blogging so I hadn't posted much recently. You know, you get tired of watching marketers do the same things at the same companies different ways year after year. But Sunday, I sat next to an interesting gentleman at my daughter's National Junior League Basketball Championship game (yes, we won). Turns out he's the head of finance for Toyota and has to sign off on all this stuff. So he asked me what I did for a living and I told him I could make every $35 marketing dollars work like a $100. We started talking about what was wrong with car ads and decided to pick on Chysler's rebirth led by Deborah Wahl Meyer, VP-CMO. Her new direction latches on to lifetime powertrain warranties? What's wrong with that? Well, no one really cares. With nearly 70% of all vehicles leased these days i'm going to turn my new car in in 3 to 5 years anyway - not to mention the fact that bread and butter cars like the Accord and Camry are made so well that they don't even break into a sweat by the fifth year. So who would care about a lifetime Chrysler powertrain warranty? Only the very feeble minded. But then again, that's the kind of strategy and advertising you get when the minds of the few try to communicate to the minds of the many. Conclusion: Another case of a marketer failing to do proper consumer marketing homework. That's the kind of stuff that gets me excited again! The most overlooked piece of digital technology today is the simplest and most overlooked. The keyword. With 81 billion blogs and websites, business owners depend upon keywords to drive site visits. But we all use the same keywords. So it becomes impossible for Google’s AdSense for Search and Content Optimization Teams to help you build truly effective campaigns. Regardless of the business you are in. If you are an ad agency ‘ad agency’ would be a keyword, so would branding, strategy, product positioning, differentiation, marketing and a plethora of other terms we all use. Commodities. So using keywords, differentiation becomes impossible; unless you find a way to identify keywords people are searching for that no other web site but yours has to offer. As a new product concept and product positioning consultant to companies such as Procter & Gamble I was stunned to find a site with a very simple keyword utility called wordtracker.com. You plug in the term and it gives you something called a KEI index. The higher the number the more people are searching for the term and the fewer the number of web sites containing the keyword. What a great way to differentiate yourself. I’ve found gaps covering “Perceptual Monopolies” and “Abstract Dimensions” among others that have captured the fancy of inquisitive clients everywhere, and the best part is, no other consultant or ad agency on the planet employ these terms, so I know they’re not stepping on my Intellectual Property or sharing these concepts and philosophies with clients. As CMO presiding over the launch of New Coke, Sergio Zyman rode herd over one of the largest and most important marketing blunders in history - proving that everything my father taught me about how companies and ad agencies typically create new products was absolutely true. He wanted me to believe that all ad men were crooks and con men and that they wanted clients to believe that they were the only people with phone lines to God on Fridays. He also wanted me to believe that when developing new products, most companies, including Coca-Cola did little more than set four men in a room to brainstorm - and when they did, it was usually over a supplier related concept rather than anything original. New Coke was based on a supplier's new sweetener, and it failed. Pepsi's Indra Nooyi took Procter & Gamble's Olestra and launched failed WOW! Chips with Olestra thinking the underwear staining grease would be overlooked by diet conscious consumers. Guess they were wrong. Why were they wrong? They were wrong because they made these decisions themselves. Time and time again I'd watch inexperienced assistant account executives prepare recipe dissemination ads for Leo Burnett clients and no other input whatsoever. Take it to the account supervisor who takes it to the client and voila, another ad, another account, another sale bites the dust. We see it and forget it. Might as well be making newspaper ads for all the insight that goes into such productions - but hey clients, it's your money not mine. What's different about today? Executives in companies still don't like to do their homework.